1. Login to Postbox go to 'Device settings' from the menu (click on your email address in upper right hand corner). 2. Enable the languages in which you would like to write. Note: English is installed by default and cannot be removed. 3. Turn on your Freewrite and make sure it is connected to WiFi. 4. 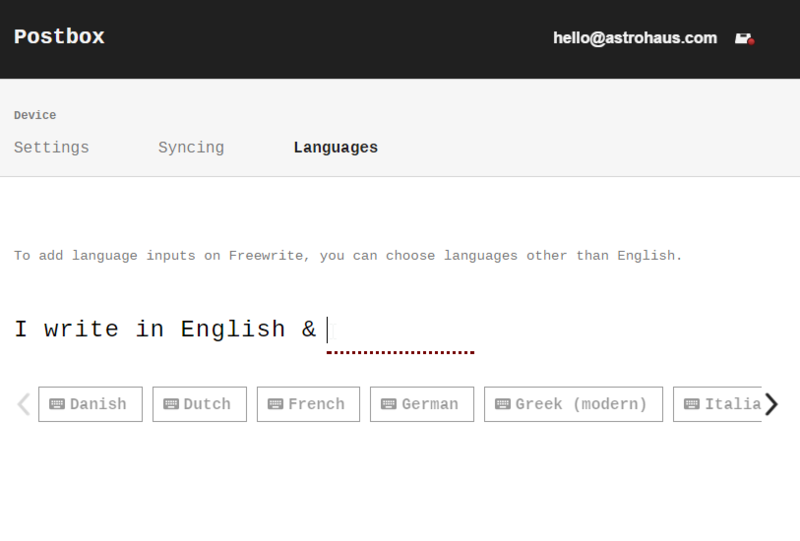 Your Freewrite will update its available languages automatically. 5. To change your keyboard mapping to the new languages, you can cycle through by holding [new] and pressing [shift]. 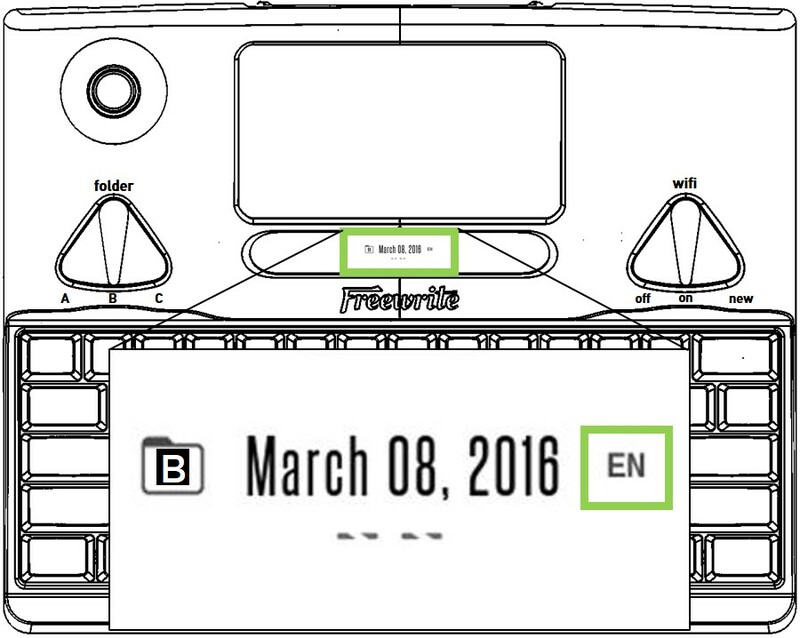 A two letter designator will show on the status screen to indicate which keyboard mapping is currently active.